Once upon a time there was a little girl who loved playing the violin – and she did it on an extraordinary level. By the time she was nine, the old violinist Isaac Stern organized a master course, where she was allowed to participate not only once but also (contrary to the rules) three years in a row. Mayu Kishima, already an adult and a professional musician, cherished this lovely memory of her childhood. She had a great career with lots of performances. There was still one thing that disturbed her life: despite her huge successes at her own concert tours, she wasn’t able to play at competitions without being mentally blocked, and usually she didn’t even make it to the finals. After a truly unpleasant experience, everyone advised her to stop competing, and she agreed. 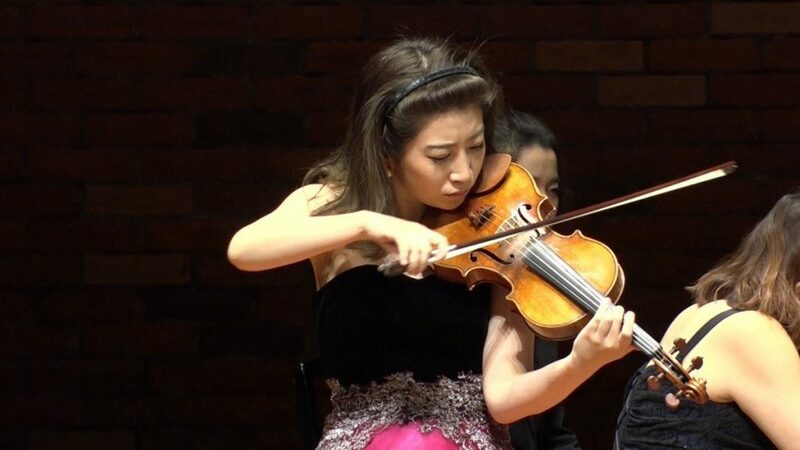 After she had realized that an Isaac Stern International Violin Competition was supposed to be held in Shanghai, she decided to give this one a last chance. She didn’t go there to win or to finish as a finalist, but to simply stand there and play for the audience, with the self-consciousness and humility of any normal concert. 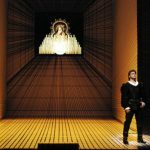 She wanted to evoke the great master’s spirit who died with 81, whom she could thank so much, and whose descendants were sitting in the audience. This story fits quite well to the ambitious name of the 2019/2020 concert series of the Pannon Philharmonics in Budapest: GOLD STANDARD. Five performers are going to play on stage between October and May, each of them bringing their own personality, a topic, their favourite composers and pieces. Three concerts are conducted by Gilbert Varga and two by Tibor Bogányi – it will be stunning to see how the principle of the “one conductor with two faces” works in the practice, how much will they bring in from their own individual point of view. So we can expect a diverse programme, but the incredible quality links all five individual concerts together. Mayu Kishima probably won’t ever forget how she defeated her demons and won the Isaac Stern Competition in 2016. She is, however, not the only one from these performers who won a gold medal at a prestigious competition. The other violinist, Barnabás Kelemen, won the First Prize of the Mozart International Violin Competition in Salzburg in 1999, and then the gold medal at the International Violin Competition of Indianapolis in 2002. As a student of the Liszt Academy, he also attended some masterclasses by Isaac Stern and others, for example György Kurtág. His quartet, founded in 2009, is also widely acknowledged. Brass player Szabolcs Zempléni would also not complain. With 17 years of age, he was already awarded the 1st Prize and the Special Prize at the Concertino Praga competition. Followed by other three gold medals in 2000 and 2001, he might be the proudest of being the first Hungarian to win the 1st Prize at the ARD International Music Competition Munich in 2005. There are several things in common between Barnabás Kelemen’s and Szabolcs Zempléni’s life. First, they are both Hungarian-born lecturers at foreign music universities, and second, they are both from musical dynasties. Szabolcs Zempléni’s father is brassist, his mother is oboist, and his sister is a singer. Barnabás Kelemen’s grandfather was a legendary leading violinist of a Romani band, his mother is a harpsichordist, and his wife Katalin Kokas is violinist and violist of his quartet mentioned above. For a young performer, a competition can be a life-changing experience: suddenly, gates are open in front of them, colleagues and the audience recognizes them, and they won’t ever have to worry about getting assignments. Otherwise, the fifth performer of the Gold Standard series, pianist Peter Frankl, has secured his place not only with single competitions but with a long and full lifework. It is kind of symbolic how he recalls his parents’ pianos in their otherwise small flat and his early experiments with this instrument. As a child, he lived through the horrible 1940s, his father died during labour service, but little Peter still had music on his side, an asylum, an eternal counterpoint for inhumanity, a life goal. From 1956 on, he was able to give regular guest concerts in Paris, and in 1958, he moved there permanently and became an inevitable member of the music scene in France just like he used to be in Hungary. Then, finding even this too narrow, he relocated to London where he lives until today, and where the whole Anglophone music world has opened for him. He simply advised me to tell stories with music. […] He completely freed me from all barriers. No surprise, therefore, that Peter Frankl’s Gold Standard concert is called Enchanting Stories. Fortunately, the Pannon Philharmonics managed to invite four young performers in this series, alongside the senior master, who are already unmistakable personalities and fantastic talents, and whose individual concerts will all shine in golden light.